We made it out to Epcot today to take a look at ongoing work near the Disney Skyliner gondola station at International Gateway. 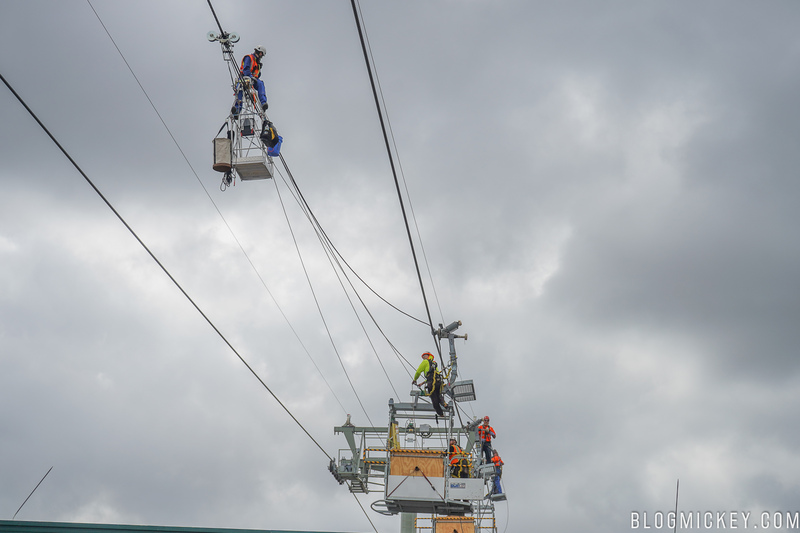 Crews were up in maintenance cabins installing new cables for the system. 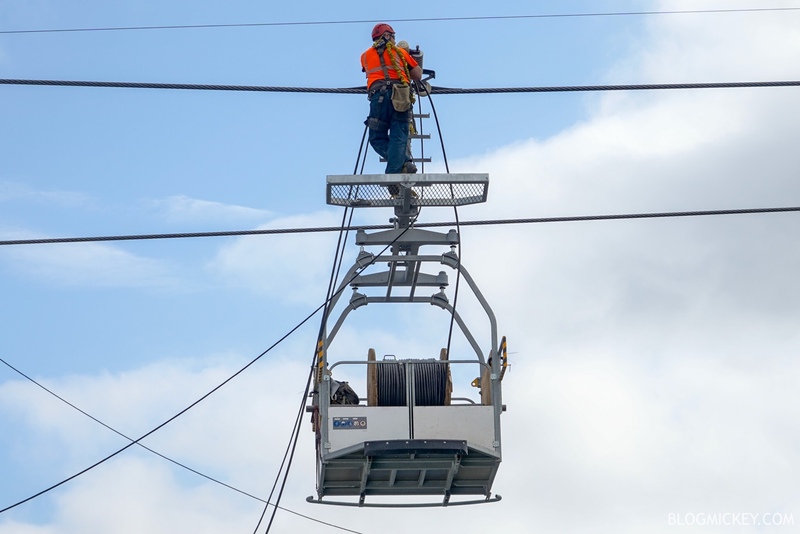 The cables appeared to be installed in the middle of the existing heavy haul cables. 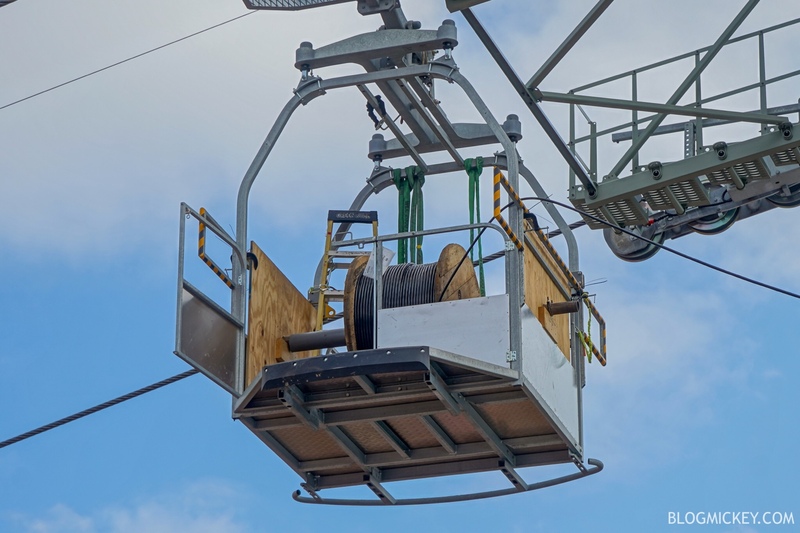 This third line of cabling doesn’t appear to be necessary to support the weight of the gondola cabins and might be used for communication or electrical needs. Here’s a look at the work going on today at Epcot. 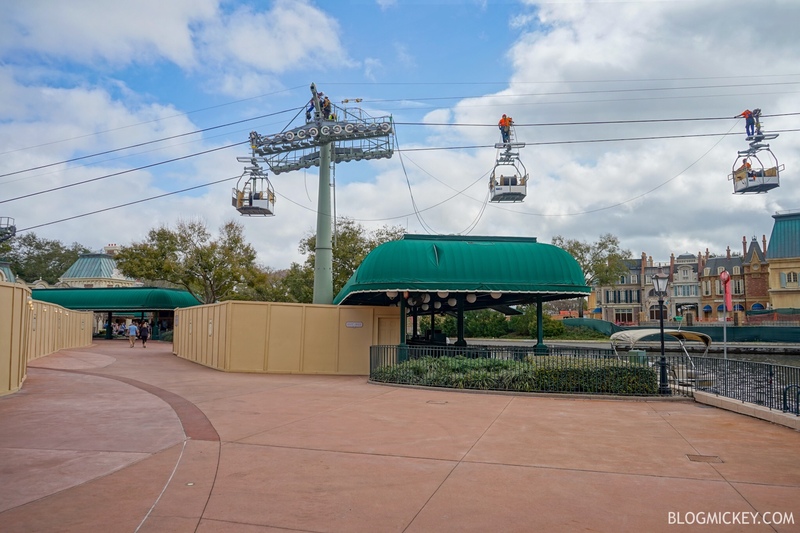 The three maintenance cabins are carrying the cable that will likely be run the full length of the Disney Skyliner gondola system. Crews are working from the Epcot Disney Skyliner station towards the turn station at Boardwalk. 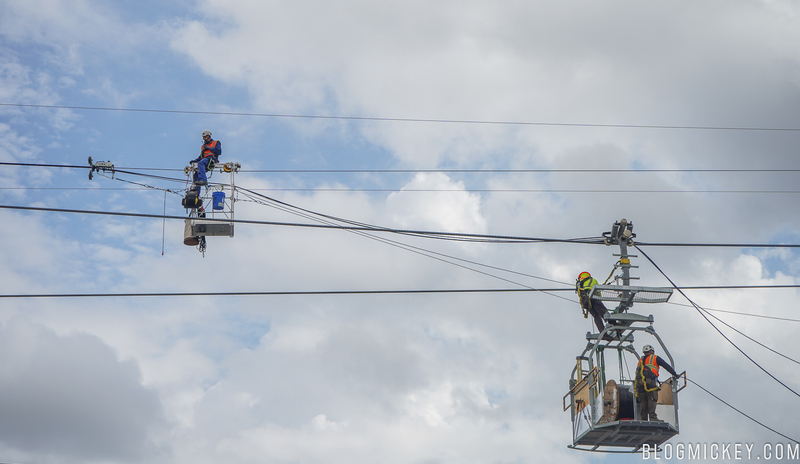 We can see a thicker cable on the left of the tower and a thinner cable along the route to be completed. Here’s a closer look as the work progressed past the tower and towards Disney’s Hollywood Studios. 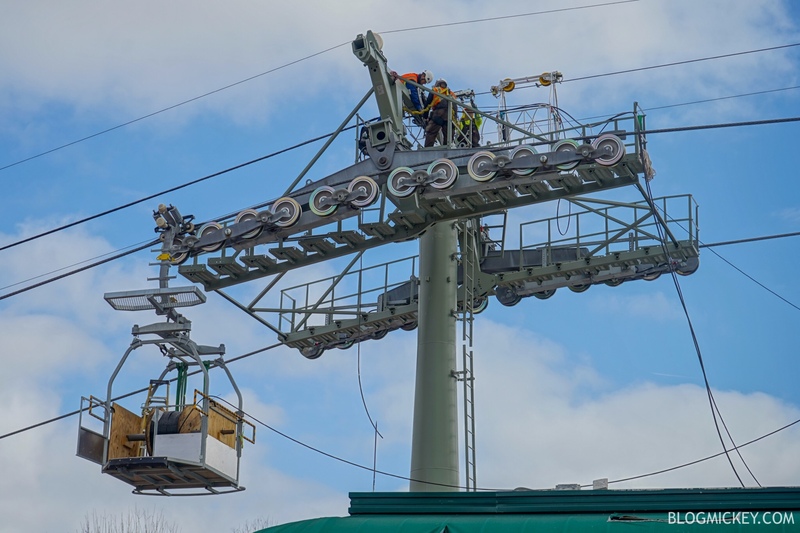 The lead maintena cabins pull a fourth cabin where a worker is perched atop the cabin and a twisting tool wraps all three cables around the existing thin cable. The Disney Skyliner gondola system will open this Fall at Walt Disney World. In case you missed it, we got an early look at the Wreck-It Ralph gondola cabin in the Epcot station a couple of weeks ago. As always, stick with BlogMickey.com for the latest on this and many more construction projects taking place around Walt Disney World.